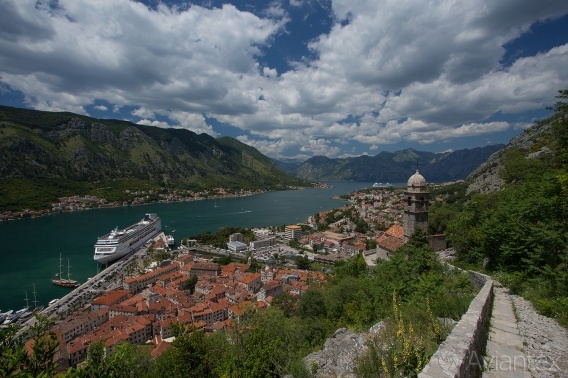 The southernmost stop during our road trip in Eastern Europe and the Balkan Peninsula was Montenegro. Only two nights spent in country, one among the resorts in the popular and well known Budva and the other one in the capital of Podgorica. Limited time for photography and new experiences for sure but still we managed to do everything we wanted even with an infant in the back seat. First of all, the scenery of Montenegro is stunning with high mountain ridges and deep cutting fjords with excellent photo opportunities in every needle eye turn but be prepared for time consuming driving on roads in poor condition. The overall impression of the country is unfortunately pulled down by the tourist influenced atmosphere at places like Budva and Kotor with souvenir traders everywhere. Apart from this there is of course a lot of beautiful spots not to be missed and well worth a photo. 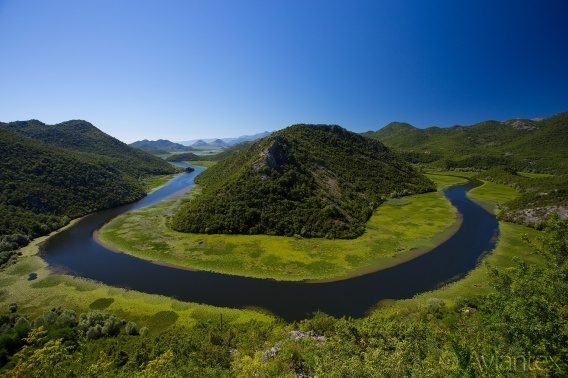 This beautiful horse bend view of the Crnojevic river in the Lake Skadar National Park might be one of the most beautiful places I have photographed lately. I was lucky enough that everything was just right that morning when we finally arrived at this spot after hesitant driving on serpentine roads. I must confess I didn’t have a clue about this place until I came across another travel blogger that had visited this place. As time were limited on this trip I will certainly make a longer stop at the Lake Skadar National Park if I ever will come to Montenegro again. An old town surrounded by city walls in the inlet of one of the fjords in the country. Excellent photo opportunities almost everywhere you go inside the walls but the best one is probably from the path that leads to St John Fortress which overlooks the city from above. It’s from this path the following shot is taken, in my case in full daylight but still quite nice with some cumulus building up above the mountainous surroundings. 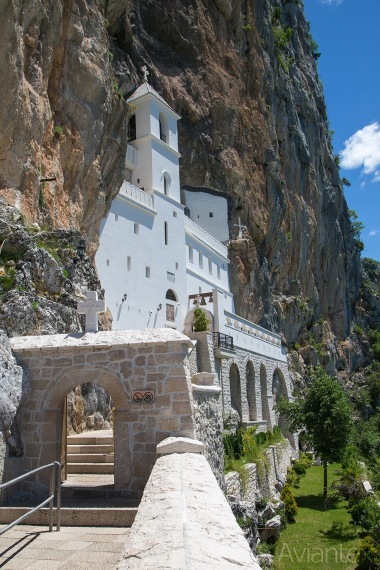 An hour drive to the north of the capital of Podgorica, you can find the very interesting Ostrog Monastery. What makes it so special is that it is built inside the mountain highly elevated to be safe guarded from intruders. From a distance and in sunlight the white colored monastery looks almost surrealistic against the mountain and it's just as impressive when standing close by. You are able to shoot this sight from several locations which generate in completely different views and perspectives. This five star property well known for its visits by celebrities is located a short drive outside Budva. 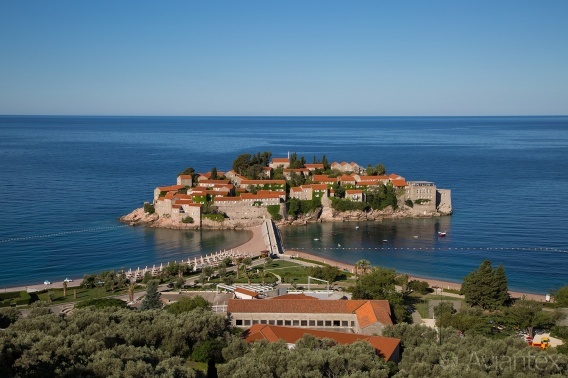 During the early morning hours when the guests are still sleeping or about to have breakfast is the perfect time for a perfectly enlightened view of a silent and peaceful Sveti Stefan. You may either take a shot from the beach with the sunchairs and umbrellas perfectly aligned for the sunbathing guest or from the main road above where you can get a great overview shot of the strangely located resort. 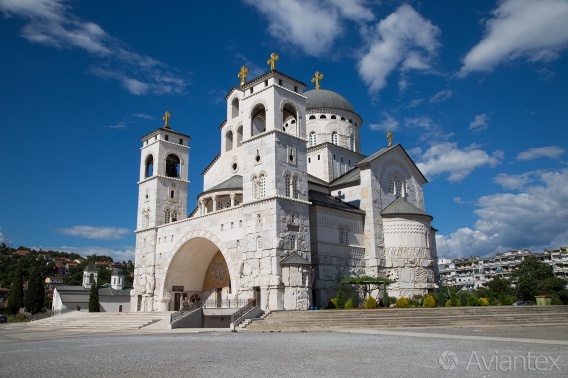 The attractions and sights in the now appointed capital of Podgorica are not that many or in fact none apart from this beautiful church called The Cathedral of the Resurrection of Christ, Podgorica. Located in a rather rough and worn part of the city, it really stands out in its white colored facade during the late afternoon sun.